We love people and plants. We love farming and giving back! Our goal is to bring botanical wellness (plant superfoods) to people with our delicious farm fresh products. We also enjoy educating and involving the community in learning sustainable practices and encouraging healthy lifestyle habits! Naikela Botanicals' farm & on-site drying operation is located in the middle of the Pacific Ocean on Kauai's North Shore! It's a MISSION BASED Company, located in middle of Makanalani, "a gift from heaven" which is a 120 acre agriculture property that is home to a nonprofit kids camp, youth center. Makanalani was founded by Eric and Lyn Taylor, out of the love they had for nature and children. They carry the mission to provide youth with unique opportunity to experience nature, friends, and God's love through housing youth camps and community retreats on Kauai. With a love for God's creation and holistic health, Makanalani's founders, Eric and Lyn, invited Aaron Moeller, creator of Naikela Botanicals to sustainability farm at Makanalani. Their common vision is to expand the sustainable farming practices and increase fruitfulness on it's land. Both share a mission of loving people and nature. They express this by sharing all that they have been blessed with and gifting us with nature's finest bounty! Naikela Botanicals is a family owned and operated company with the loving desire to keep other family's happy and healthy throughout their busy lifestyle! 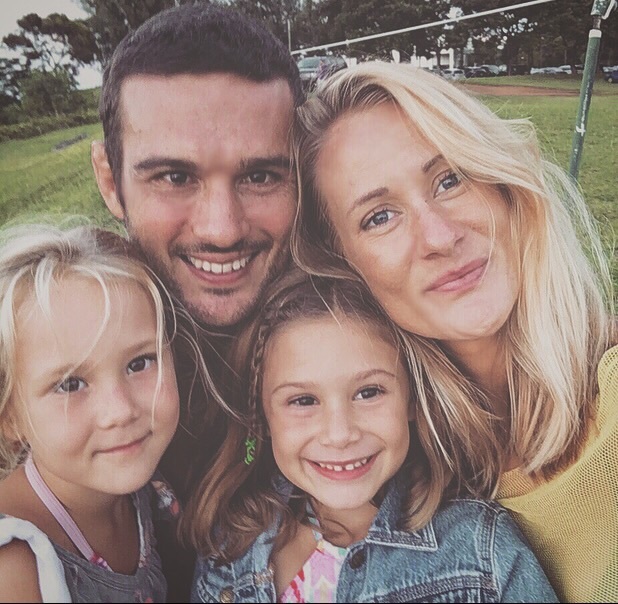 Naikela Botanicals has been a dream long coming for Aaron Moeller, a husband, father, farmer, and martial artist. In his diligent material arts career of 25 years, his love of learning, discipline, nutrition and holistic health naturally trickled over into exploration of sustainable farm practices. Aaron, now a seasoned farmer and blend master shares the benefits of living a practical holistic lifestyle with his wife, Shannon (Naikela Botanicals' creative designer) and island-born daughter's, Naia (Hawaiian spinner dolphin) and Akela (Noble) who inspired the company's name, "Naikela." We all know or have imagined Hawaii, as a tropical island paradise. A secluded island chain in the middle of the Pacific Ocean, here lies a wonderland of beaches, mountains, waterfalls, rainbows & exotic fruits. A dreamy climate of sunshine, sea minerals, peaceful rain showers, & jungle forests. True Inspiration beams in every high place, captivates every low place and pushes us to steward this paradise in the most pure way. This land is a gift from Heaven always giving to us the very best. We greatly value this gift and we have discovered that our hearts desire is to take care of this land. Our purpose is to cherish and share it with others. It is this inspiration that births Naikela Botanicals.